A deep dark purple colour and a sombre intense nose with ripe fruit. The wine is massive on the palate with broad shoulders. An attractive wine with a purprle hue and aromas of fresh fruits. Its hallmark is its smoothness and freshness. A quite simple but very expressive nose with aromas coming through of ripe red berry fruit, vanilla and tomato peel. 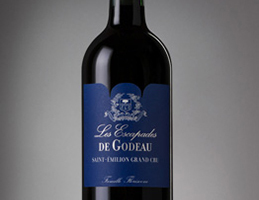 On the palate it is staight, and is tight enough to smooth out the firmness of tannins. The finish gives a sensation of freshness and flesh.